*All offers to well qualified customers with approved credit through Southeast Toyota Financial Services with $0 security deposit. 1 month lease examples based on New 2019 Toyota Corolla L Auto #1852 MSRP $19,645 with 12000 miles per year. Includes all qualifying lease cash and incentives including owner loyalty if applicable. ALL lease offers plus $899 dealer fee, $795 bank acquisition fee, $498 electronic title, tax, tag, first payment. $139 lease requires additional down payment of $2,999. **$0 down payment lease option monthly payment $229 available with approved credit. See dealer for complete details. Promotional offers expire April 30, 2019. 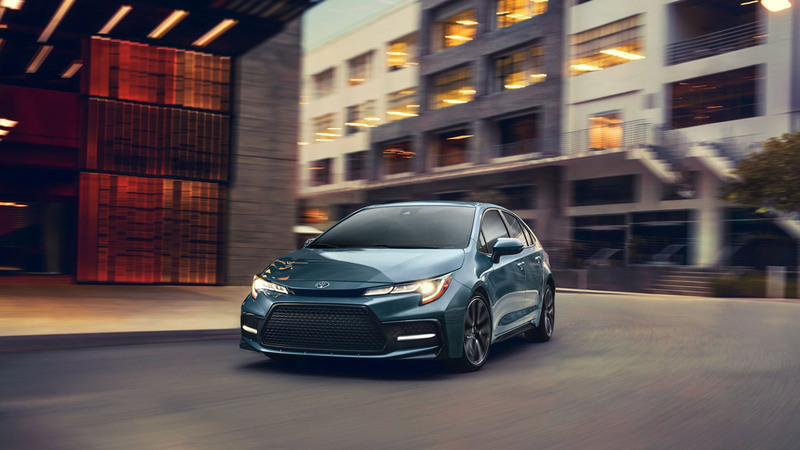 The All-New 2020 Toyota Corolla brings back the number one car in Miami, with a sportier, more modern look. 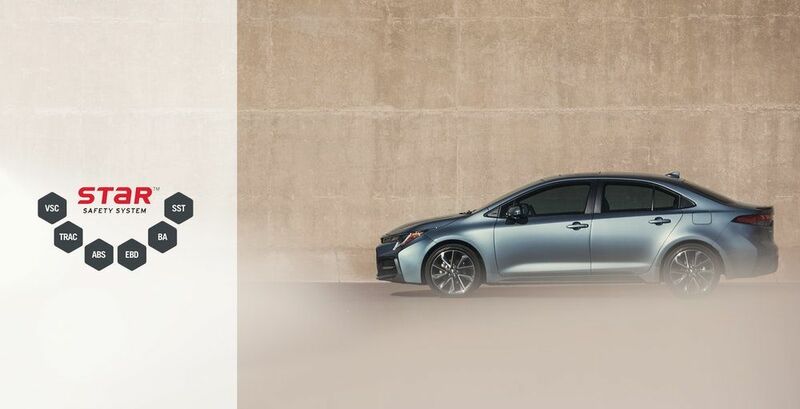 Featuring a brand new engine with more power than ever before, and a new hybrid option with over 50 MPG, the new corolla is a car that anyone can fall in love with. The New 2020 Toyota Corolla comes with a large performance increase over the previous models. Upgrading to the SE trim level includes a 2.0-Liter 4-Cylinder engine that produces 170hp and 151 lb.-ft. torque, around a 30hp and torque increase over the previous models. The New 2.0L Dynamic Force engine also comes with a new transmission that features a CVT with a traditional fixed First gear that provides the response of a real gear, and the efficiency of a CVT. Better audio and infotainment than ever before with a new standard 7-in. touch-screen. New for the 2020 Corolla model is Apple CarPlay included standard on every version of the corolla. Also optional is a 8-in. touch-screen and 800-watt JBL nine-speaker system that takes entertainment in the new Corolla to another level. Whether you’re going for a Sunday drive to the beach, or just driving to work the 2020 Corolla will be sure to provide a better experience. Every decision in the 2020 Corolla was made with the driver and passengers in mind. A new spacious interior with comfortable, and strategically placed seats that increase visibility. 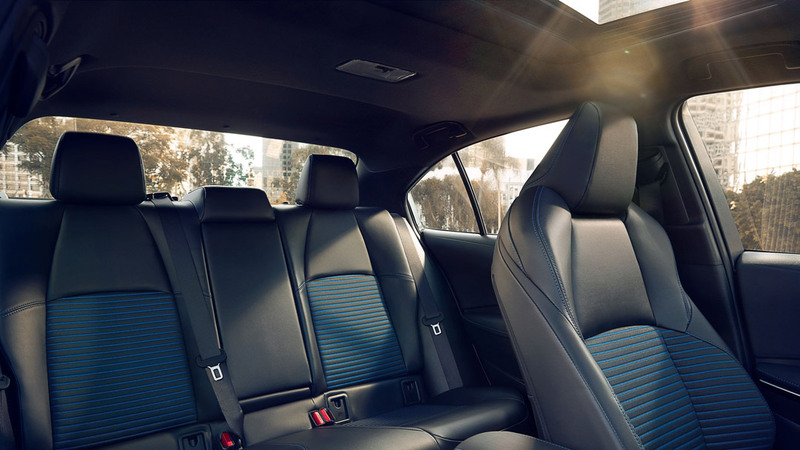 Choose the optional SofTex sport seats and soft-touch interior and you’ll find yourself in a car that is unlike anything else in it’s segment. The new Corolla was made to deliver a comfortable, elegant, and sporty interior experience at an affordable price. 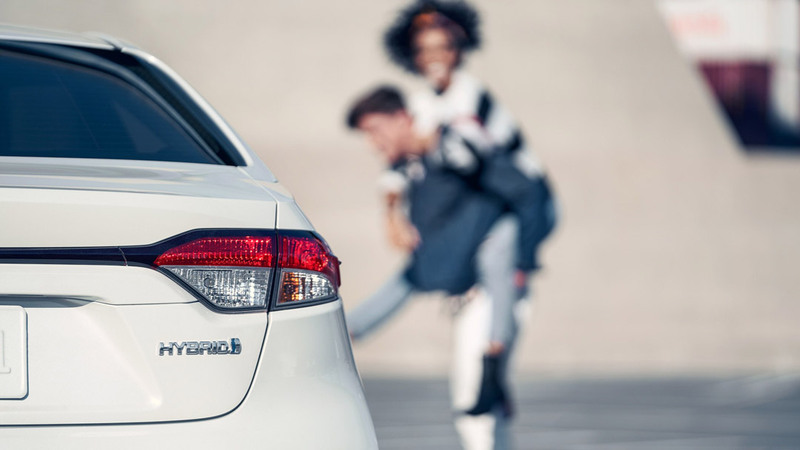 One of the biggest additions to the new 2020 Corolla is the option for a Hybrid system. With an EPA-estimated 52 combined mpg, the new Corolla Hybrid can go further than any other Corolla could. 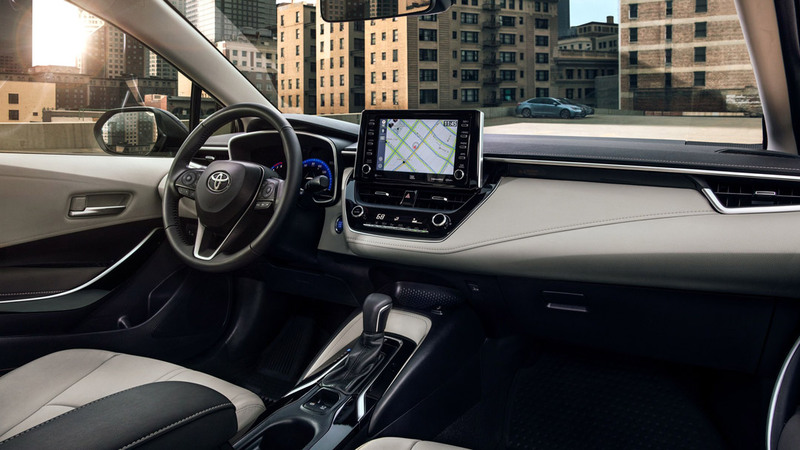 The 2020 Toyota Corolla Hybrid also comes with an upgraded premium interior and a 7-in dashboard display that gives the driver important information on the battery, vehicle health, and safety alerts. Also, the Hybrid Corolla comes with a Hybrid Drive Mode that increases throttle response enabling a more exciting drive. The 2020 Corolla delivers the most powerful and sportiest Corolla ever, while also including all the safety technology found in our Toyota Camry and Toyota Avalon. You can expect standard eight airbags, Star Safety System, and Toyota Safety Sense 2.0. Toyota Safety Sense 2.0 coming standard on the 2020 Toyota Corolla means you get lane departure alert, Full-speed Range Dyamic Radar Cruise Control, and many more features.